It wouldn't be a year at the Capri without some good, old-fashioned murder, and no one ever did murder like Alfred Hitchcock. Why? 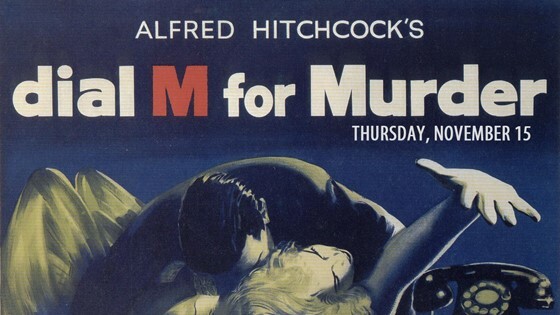 Because with Hitchcock, murder is the side-offering. In Dial M For Murder, Tony discovers that while he'd been busy with his tennis career, his wealthy wife, Margot, has been having an affair with an American writer, Mark. He comes up with a simple plan - have her killed by a former acquaintance. The first snag comes when Margot ends up killing the man sent to kill her, and Tony embarks on a quest to have her found guilty and executed, insuring he'll inherit her wealth. But it's Hitchcock, and Tony couldn't even hire a competent murderer. It's not going to be that easy. Call 334-262-4858 for more information.